Lag free display. 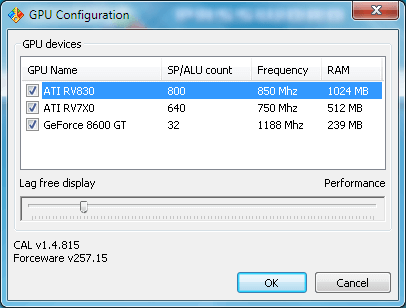 This configures the GPU performance characteristics. By setting it to maximum (moving the scroller to the right) you prioritize GPU computations and the graphic information will lag. Prioritize the usage of GPUs by moving the scroller.